One of my favorite (entertaining?) tips was from a caterer I worked with on a job many years ago . . . 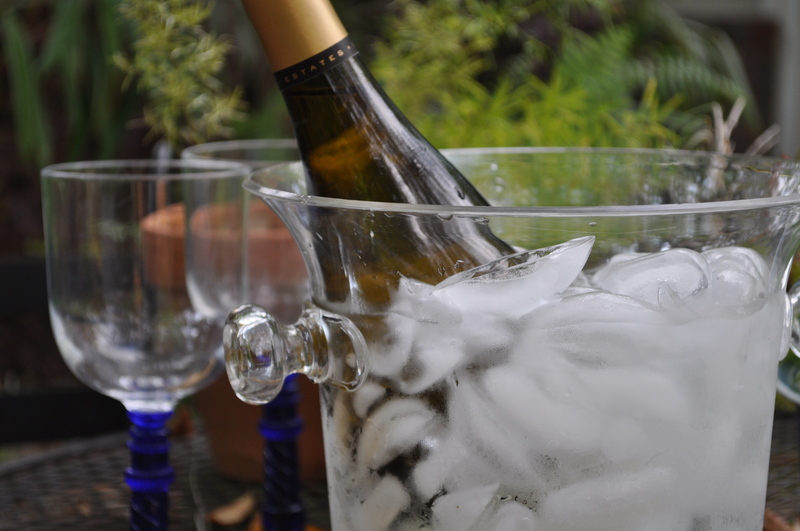 If you need to chill a bottle of wine really quick, the fastest way is not to put in the freezer or on just ice, but in ICE (lots of ice) WATER. This can keep a get-together going if you underestimated the number of bottles to chill. OR be a little lifesaver if it’s been a long, long day and just what you’d love is in the rack – not the fridge.